Printers continue to play an essential role for businesses, even in today’s digital age. No matter what your business endeavor, it is likely that you will need to print out documents. From articles and memos to important business emails or whatever you choose to print with an office printer, it is important to make sure that the commercial printer is properly maintained to ensure the best results. The maintenance of an office printer may seem like a time-consuming task, but it actually requires little effort and knowledge. By properly maintaining a commercial printer, employees are less likely to have to deal with printing errors, paper jams, and other serious issues that can cause a delay in productivity. In this blog, we are going to share some easy and helpful maintenance tips for the commercial printers in your office. There are times when you will find that the documents churned out by an office printer contain streaks or faded text and images, despite the ink and toner cartridge being full. Inefficient print jobs like this are a sign that the printer heads are clogged and need cleaning. Be sure to check the printer’s instruction manual, go to the manufacturer’s website, or search for an instructional online video to learn how to safely and properly clean printer heads. New, modern printer models likely feature a self-cleaning feature, while others require manual cleaning. Regardless, it is not a difficult task to do. Dust particles and debris can cause your printer to clog and negatively impact its performance. Dust and debris can easily be removed by using a small hand vacuum. If dust particles are getting in the way of ink or toner cartridges, use distilled water and cotton swabs to carefully clean them. Make sure to always read the manual before cleaning, as certain printer components should not be exposed to liquid. Before replacing old ink and toner cartridges in your printer, gently rock the old cartridge from side to side to redistribute the toner inside. This will help ensure the printer distributes ink evenly across the page, prolonging the life of your cartridge. Some of the reasons why printers stop working are due to misuse by employees. The best way to avoid inadvertent damages is to make sure all employees know how to use the office printer. Be sure to conduct training and be sure to leave a simple manual near the printer. This will help employees better understand how to operate the printer. Using the wrong supplies for your printer can cause some problems with it. Make sure to get the correct size of paper and the right ink for your printer. If you are unsure what the right products for your commercial printer are, you can consult with the manufacturer or do research online. 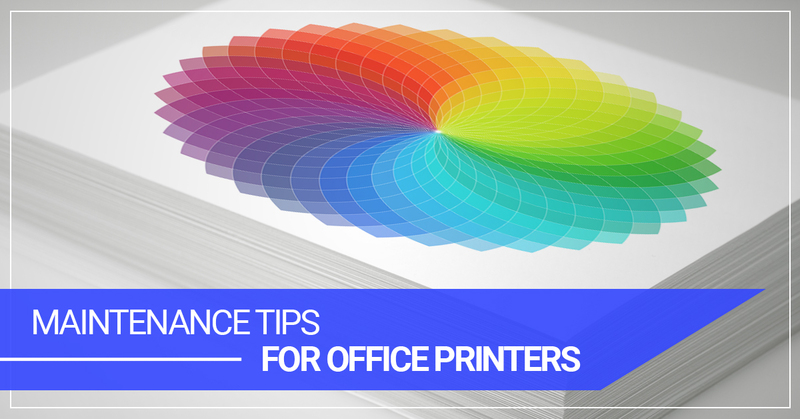 By following these tips, you can help keep your printer in good working condition and avoid any major problems. When your office printer stops working, you can find business printer rentals in New York from Business Equipment Rentals. Our rental printers are perfect for temporary jobs, a replacement for broken printers, as well as for permanent offices who may always want top-of-the-line equipment. If you are in need of a printer rental in NYC, contact us!